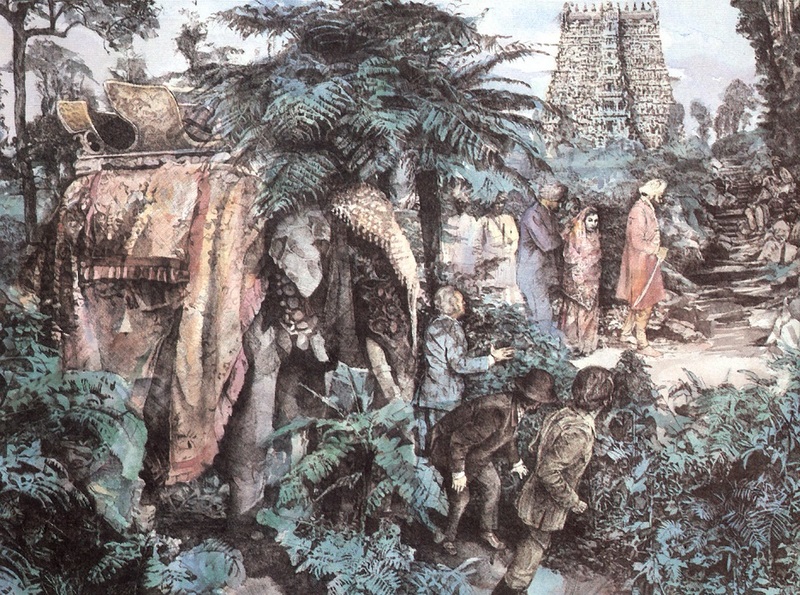 This illustration is of the scene in Jules Verne’s Around the World in Eighty Days where protagonist Phileas Fogg and his companion rescue a young woman from a sacrificial ritual while traveling through India. I still marvel at how sensitively I applied the pen work. The client was a small publishing house, but once I take a job, I do my very best.